I have the handiest gift idea for your loved ones. Light up their nights, holidays, and every day. Whether they read at night, craft, have to change diapers or more, these gifts will be the perfect addition to their every day life. 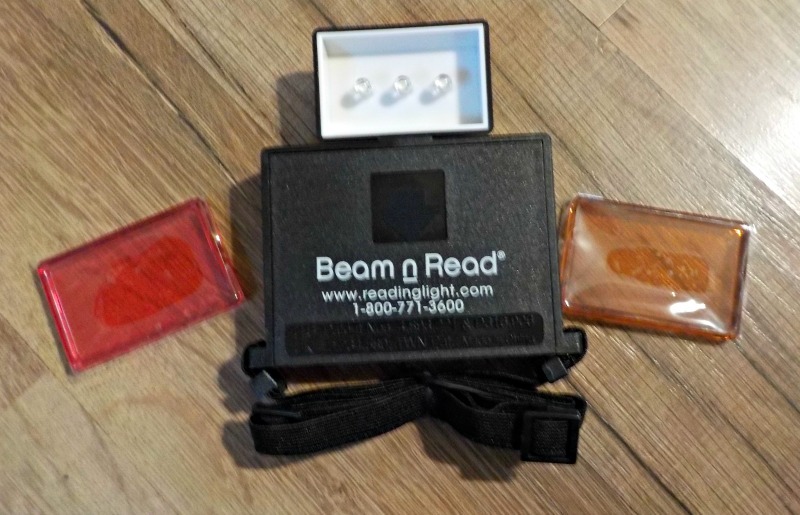 Beam n Read has hands free lights that are perfect for every person on your holiday gift list. Their lights are hands free and worn around the neck so it keeps both hands free for whatever you need to get done. 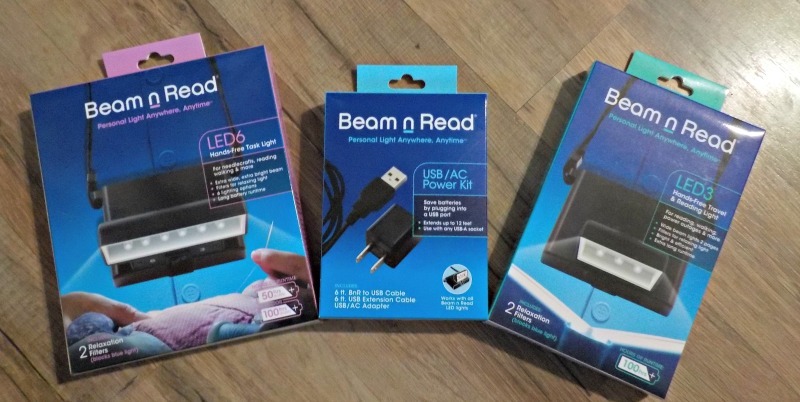 Whether you’re reading, crafting, or just headed to the bathroom in the dark, Beam n Read will light your way. Both of their lights also come with relaxation filters to keep the bright blue LED light out of your eyes. My son and I both have a Beam n Read light and we love them. I use mine to color, journal, read and even sew. It helps me to better see what I’m doing. My son uses his for everything, including taking the dogs out at night. My husband commented on how perfect they are for night fishing so you can see to bait your pole. He even said he’d use them to get night crawlers too. Have you lost power due to a storm? Grab Beam n Light! I really could have used one during Hurricane Katrina. I sat next to a lantern for days and hand stitched a Christmas stocking for our eldest son. It helped keep my mind off the weather raging outside. However, seeing was near impossible because I couldn’t get close enough to the lantern to actually see properly. 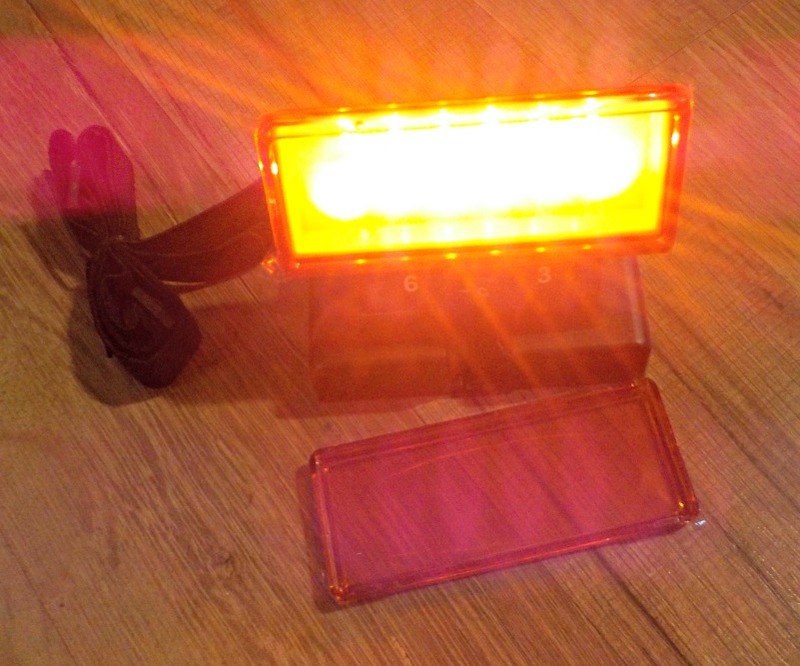 So we think that Beam n Read would be a great addition to your storm preparation kits. 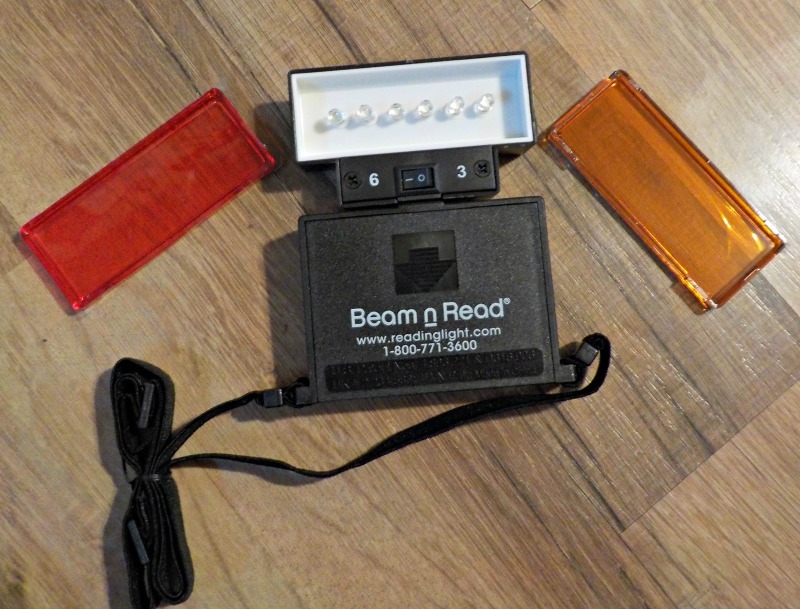 Beam n Read comes in two styles. Their LED3 features 3 LED lights that shine a wide oval on the area. It’s lightweight and easy to wear or carry. It uses 4 AA batteries that last a long time so you won’t have to worry about burning right through them. Their LED6 features of course, six LED lights. This one is extra wide and extra bright. Like the LED3 it also comes with the filters to keep the blue light from your eyes if you so choose. Both BnR’s are battery operated, but you can also purchase their USB/AC power kit. This will power them both from the wall, your laptop, tablet, car and more. IT has a twelve foot cord, so your range of movement will be big enough to accomplish your tasks. Previous Post: « Keeping My Car Clean With A Puppy!